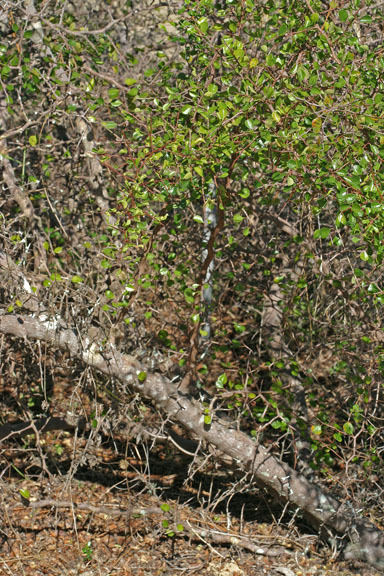 One of the rarest plants in Florida, Ziziphus celata has been found in only six populations on the Lake Wales Ridge in Polk and Highlands counties. Most of the current locations are in pastures, but the historic habitat is believed to be sandhill, scrub and/or the transition zone between these habitats. 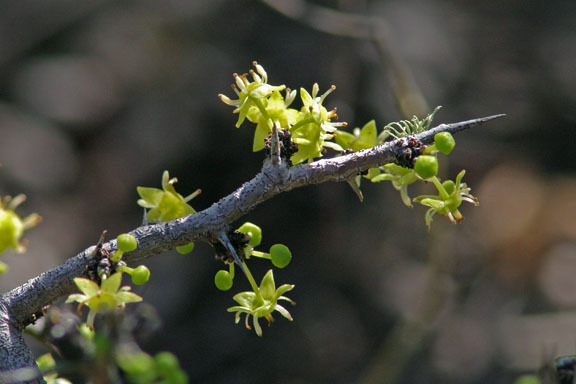 Florida jujube grows up to one to two meters in height with many zig-zagging branches. The deciduous leaves are alternate, entire, elliptic to obovate, shiny on the upper surface and fall in December before flowering begins. 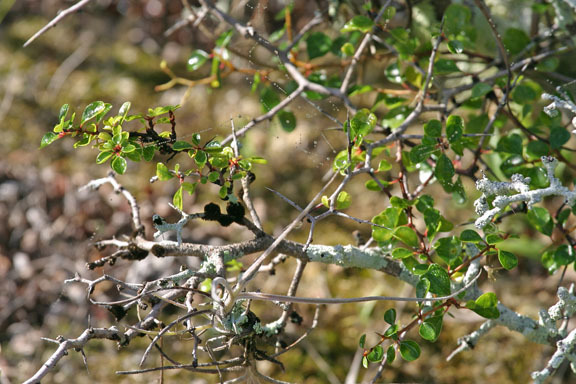 The tiny white, five-petaled flowers have yellow-green sepals and appear in winter on short pedicels. 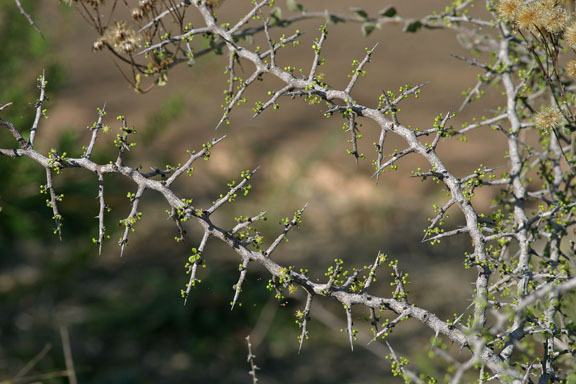 Mature plants bloom profusely, but each naturally occurring location usually consists of a single genetic individual that is self-incompatible making them incapable of producing offspring. 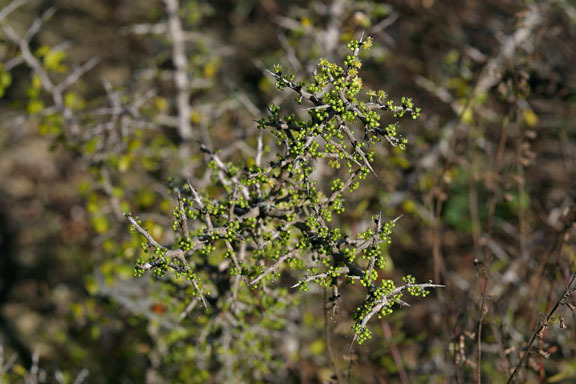 In 2016 members of the genus Ziziphus native to the western hemisphere were reclassified into other genera. 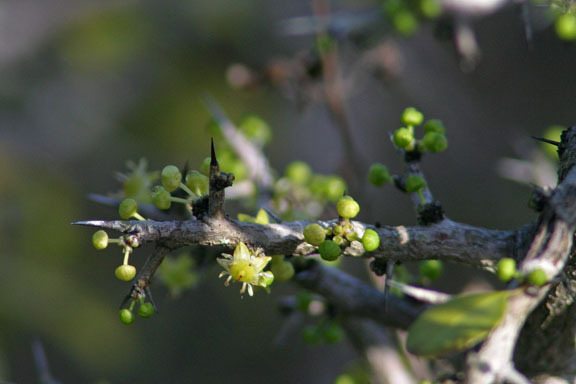 Z. celata was placed in a new genus Pseudoziziphus. Bok Tower Gardens, in cooperation with the Center for Plant Conservation, has been cultivating P. celata from root cuttings from each of the natural populations. 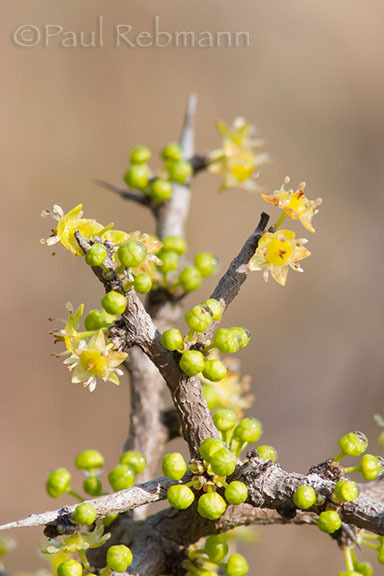 These photographs were taken in the Bok Sanctuary endangered plant garden and their rare plant conservation program growing beds. Pseudoziziphus celata is a member of the Rhamnaceae - Buckthorn family.